Wait, there are other tablets? iOS 4.1 just went live. Among its many updates and improvements is a feature that is specific to the iPhone 4. iOS 4.1 when running on the iPhone 4 adds an HDR photography option to the camera app. The HDR (High Dynamic Range) technique has been around since the 1930s, but this is the first time that it has been offered as a default option on a smartphone. What does it mean and should you use it instead of the standard photo option? Let’s find out. 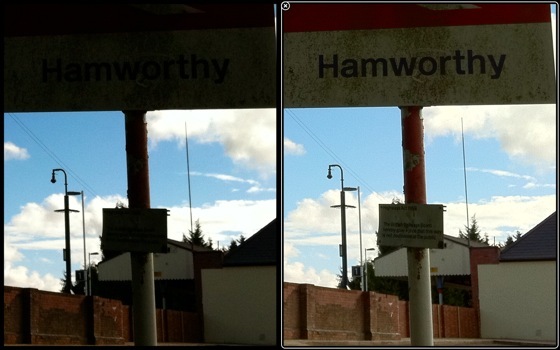 (Non HDR shots on the left, HDR shots on the right). 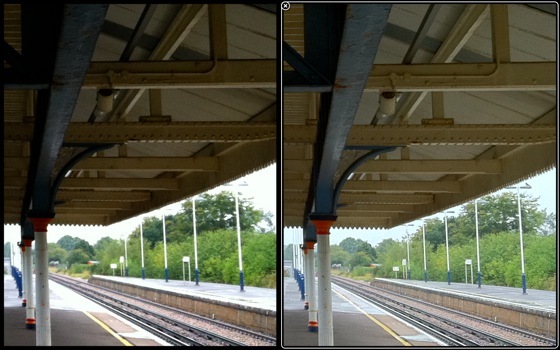 When you take a photo with the iPhone the exposure is automatically set to render the best possible range of luminance based on the centre of the scene or, if you tap on a part of the scene, that area. As I’m certain you have noticed for yourself, this means quite a bit of experimentation to find the best compromise between under and over exposure. Under expose the photo and you risk crushing all the blacks and dark colours, over expose the photo and you’ll surely end up with washed out colours and very little detail in the highlight areas. Of course, the iPhone 4 camera unit is no DSLR, the tiny optics and sensor means that most photos will be a compromise. If the scene has quite a flat dynamic range of luminance, such as in a well lit room, you may get a very good representation of reality. However, if the scene has a broad dynamic range, as is usually found on a bright sunny morning or late afternoon, then you will likely lose a lot of the detail in the shadows and highlights. Apple’s HDR option for the iPhone 4 running iOS 4.1 gets around this by very quickly taking 3 photos at 3 different exposures and combining the results almost in realtime. There is a delay or about 3 seconds whilst the A4 processor does its thing. The results are quite striking. As you can see from the images here (for the full set head over to Flickr), areas that are devoid of all detail without HDR now retain detail in both the shadows and the highlights. That is the true power of HDR. In short, Apple have given the iPhone 4 camera a significant boast with hardly any drawbacks. There are times when you will need to turn off HDR and they include fast moving objects, scenes that are interesting or beautiful because of their high contrast and fast paced photography when the 3 to 4 second wait is simply too long. Apple have thrown down the gauntlet with their HDR implementation. It’s now up to the likes of Nokia, Samsung and HTC to respond. I’m convinced that realtime HDR is the way forward for smartphones. It would be nice to know if the mobile tweaks one picture or takes 3 different pictures. Hi Reda, A metronome would be very handy. Perhaps I can do something similar with an LCD screen… I’m certain that it’s using 3 shots just as Apple have advertised. The range in some shots is just too wide to be fake HDR. 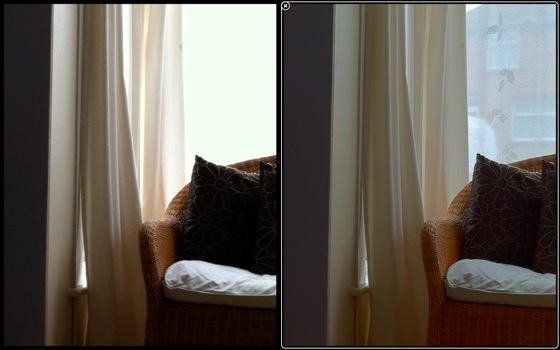 I notice that when HDR is switched on, the iphone saves the HDR shot and the original. Might as well just leave it on then, right? Next Entry: iPlayer. AirPlay. Apple TV. It’s all coming together.